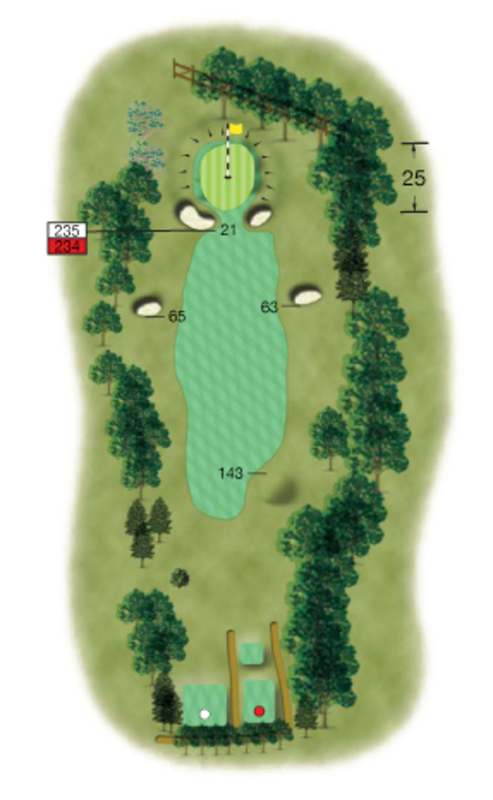 A short, risk and reward par 4. It's drivable for average length hitters but very well guarded by bunkers. A drive that finds the gap between them can find it's way very close. The green is small and slopes from back to front. It's the first shot so an iron off the tee for position is the smart play. This will leave a short approach shot to a well guarded green.